I started practicing bikram yoga because I wanted to have a healthy lifestyle. I love my family and I want to live a long, happy life with them. With bikram yoga, not only was I able to achieve a healthy, fit body, I also became a more positive person who can find peace and relax in the face of life's everyday challenges. For me, bikram yoga is more than just a sport – it is lifestyle, a state mind, a philosophy. 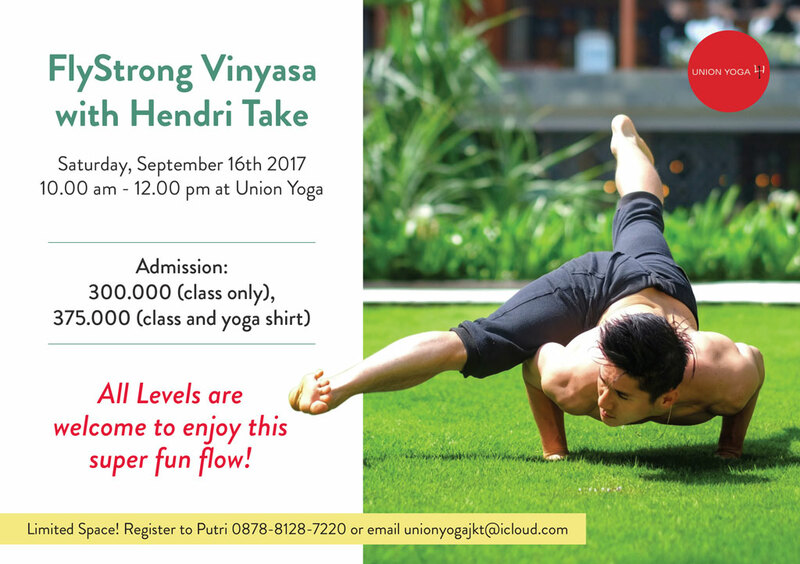 A playfully strong Vinyasa class designed to take you on to the arms and upside down. Handstands, forearm stands, headstands and arm balances become the flow as we fly through fun transitions and sequences. Options will be given if you are not a hand stander or arm balancer. All levels welcome to enjoy this super fun flow. All levers welcome to enjoy this super fun flow! Limited space to 30 pax.